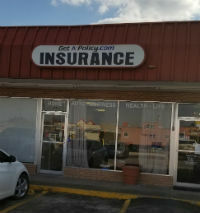 Get A Policy Insurance Services provides insurance to healthcare facilities in Greenville, Royse City, Caddo Mills, Rockwall, McKinney, Fate, and surrounding areas. Healthcare facilities have very specific coverage needs. At Get A Policy Insurance Services, we will work with you to create a protection plan that fits the needs of your facility; from hospitals and clinics, to long-term care facilities and nonprofit organizations, we’ve got you covered! Whatever your needs, Get A Policy Insurance Services will help make sure your insurance policy is right for your business. Contact a representative today to schedule a consultation!